Trichology is the study of the hair and scalp and all problems related to them. 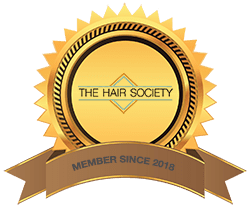 A trichologist practitioner is someone who specializes in diagnosing and treating hair and scalp problems after having completed a recognized trichology training program. If you suspect you may have a hair or scalp problem, or simply want advice on achieving optimal hair and scalp health, a trichologist practitioner should be your first call. Below are some of the many benefits of consulting with Embassy Studio. Our practitioners deal exclusively with hair and scalp disorders. This means that they see far more patients with hair and scalp problems than the average family physician. We can diagnose and treat a wide range of ailments, including hair loss, hair thinning, hair breakage and dandruff, in patients all ages. If you suspect you may have a hair or scalp problem, you may consult us directly, without a referral from your family physician. Your first consultation will be similar to a consultation with your family physician; we will see it as a chance to learn more about your hair and scalp health. Our trichologists practitioners can use a range of diagnostic tools to diagnose hair and scalp disorders early and accurately. * Early diagnosis is important because treatment can often prevent or minimize further hair and scalp problems. Living with a hair or scalp problem can be difficult because the impact of the condition often goes beyond your hair health. Embassy Studio will take a holistic approach to treatment, focusing on your body as a whole and not just your signs and symptoms. We will examine all aspects of your diet and lifestyle to identify and treat any underlying issues that may be contributing to your hair and scalp problems. Embassy Studio is also the only hair replacement studio in Chicago that offers every solution possible for hair loss. We have both non-surgical, as well as surgical solutions. We will educate you about the lifestyle changes and self-care measures you can take to improve your hair and scalp health. Strategies may include eating healthy, avoiding hairstyles that pull on your hair and limiting the use of hair dryers, curling tongs and straightening irons. Embassy Studio’s practitioners are best qualified to give you the care you need to achieve optimal hair and scalp health. At Embassy Studio we have a trichologist practitioner on site that can help you if you’re experiencing hair and scalp issues.